There may be hope yet for New Zealand’s decaying stock market. Earlier this week, the NZX got the go-ahead from the Financial Markets Authority to launch Extreme Home Makeover: NZX Edition. The new-and-improved exchange will finally consolidate three of its partitioned markets: NZX, NXT and NZAX. About time. The NXT — the small-cap market — only has two stocks listed: Marlborough Wine Estates and Snakk Media. A bit silly, don’t you think? For reference, they haven’t been looked at since the Concorde was still in the air. Overseas-listed companies will able to list here as foreign-exempt issuers. NZ-incorporated but overseas-listed companies like Xero can relist here. The $30k annual fee to be listed on the NZX could be cut in half. Requirements on share-ownership ratios will be deeply relaxed. Minimum market cap set at $10 million (Too high, in my opinion). Rulebook reduced from 345 pages to 81. Words like ‘forthwith’, ‘telex’ and ‘facsimiles’ removed. Great! Overall, I’m pleased with these changes…and NZX’s responsiveness to investor concerns. I believe this could reverse the flow of companies to the NZX…and create new opportunities for investors here at home. Speaking of opportunities here at home…I’m not so sure homes are one of them. For one, KiwiBuild has started to roll. What many believed would be the silver bullet to New Zealand’s housing crisis has been disappointing. See, the economics behind KiwiBuild were simple — decrease prices by upping supply…and target high-priced homes for a ‘trickle-down’ effect. But instead of tackling the core issues, Housing Minister Phil Twyford has simply added to the madness. He hasn’t impacted the high price of building costs. He hasn’t encouraged more efficient living by reducing home footprints or approving large families. And, perhaps most importantly, he hasn’t made a dent in consent conditions. Cut taxes for companies in the building material supply chain. Offer tax benefits to foreign companies in that sector. Cut taxes for pre-fab companies…or heck, make a pre-fab ministry yourself. Cut regulation costs in the construction industry. Fund workplace training and apprenticeships through subsidies or tax benefits. Build smaller homes with smaller footprints. Streamline or eliminate the current consenting process. Eliminate as many consenting costs as possible. Transfer infrastructure obligations from the local council to your new ministry. Relax requirements for the HomeStart grant programme. None of those are perfect fixes, but they sure will get you headed in the right direction. But, to be clear, I do feel for Minister Twyford. The fella’s inherited a big problem that’s been growing since he was a kid. And now, he probably feels like he can — or is mandated to — spend his way out of it. It’s like he’s stuck his fingers in both ends of a Chinese finger trap…and the more he pulls, the tighter it becomes. And, unfortunately for him, his high-priced homes for high-income families approach hasn’t been taken well by the majority of Kiwis who don’t qualify. He didn’t help himself when he proudly took pictures at a KiwiBuild home with new owners Derryn Jane, a soon-to-be doctor, and her partner, Fletcher Ross, a marketing manager. Come on. A doctor? A marketing manager? No kids and a four-bedroom house? But to play Twyford’s advocate for a second, he’s always said that this wasn’t for low-income families. That’s what Housing New Zealand is for. This is supposed to drive a price drop, starting from the top. Whether or not it works is yet to be seen. Frankly, the housing market has been lightly softening for a few months now…and data suggests it could go a lot further before being normal again. I wouldn’t be surprised if house prices do drop — no thanks to KiwiBuild — but Twyford claims it as a victory for his efforts. He’s got the odds against him, as well as the public and a 50-year-old elephant in the room. I’d claim any percentage change as an achievement, too, if I was him. But that only goes for a steady decrease. If the housing market crashes, it would be a very different story. People packing up and simply walking away from their homes. Rows of foreclosure signs lining the streets. Old folks coming out of retirement so they could afford groceries. You can see why I tend to be very cautious when appraising New Zealand’s housing bubble. And why my pupils dilate when I hear that the RBNZ wants to further relax mortgage lending restrictions. That’s right. 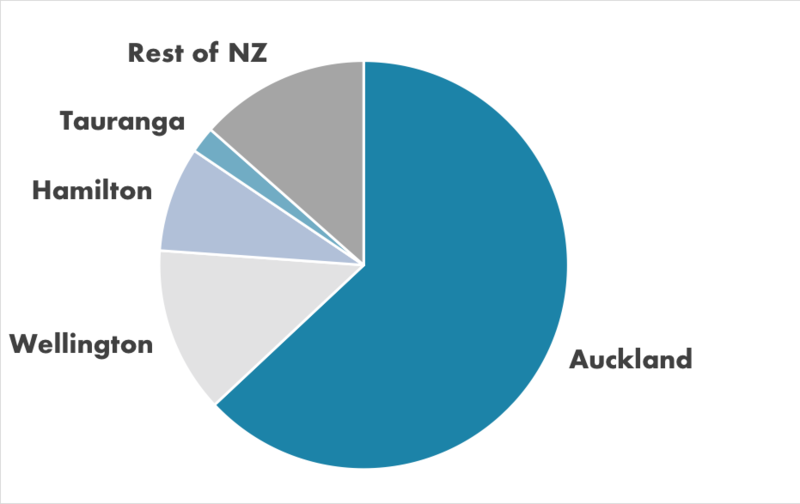 According to Interest.co.nz, the rumour mill suggests that RBNZ authorities want to make it easier for banks to lend to people who struggle to afford a down payment. The loan-to-value ratio (LVR), which is essentially a measure of risk, is something that the state regulates heavily. These regulations prevent banks from taking on too many risky loans. It’s something that American banks got a little too greedy with…and it resulted in one of the greatest market crashes in world history. So hearing that the RBNZ wants to relax those protections now…at what seems to be a peak of a 50-year bubble…should make you nervous.